Informing – What is the need? Embrace desires to break this generational cycle through relationship, support,and education. Encouraging others through God’s word. Offering education for Foster Parents and helping provide the training hours needed. Helping with the adoption process. Helping find community resources beneficial to the family unit. Embrace has been granted 501(c) 3 not for profit status. Therefore all donations are tax deductible. If you would like to support Embrace the Orphan, Inc . This allows Embrace to offer a free conference for adoptive and foster parents each year. Mike and Lori McDivitt were married in 1993. They currently have seven children. Their journey included five years spent as a foster family. 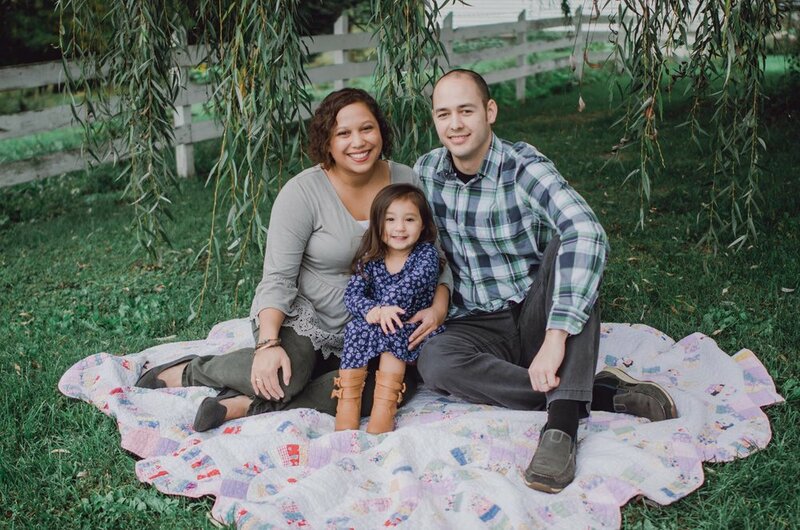 Mike and Lori have adopted internationally and look forward to what God has in store for their family in the future. Keith & Jessica Pearson are high school sweethearts that married in 2009. They were blessed with their daughter Genevieve Marie in 2013 through the gift of domestic adoption. Their crazy beautiful adoption story led them to join Embrace the Orphan to be a resource to others that are adopting. They can't wait to see where God leads them next in growing their family. Copyright © 2014, Embrace. All Rights Reserved.